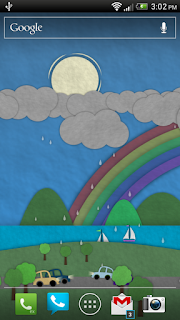 Just added some weather toggles to Paperland! You can now configure rain, lightning, and rainbows. The new update is great! Can not wait for weather to be linked to local weather. Could you add option to stop rainbow at night? I also love this wallpaper. The ability to customize almost everything really maximizes its fun. I would also like to have the option to not have rainbows at night. I would also like to have the option to change the color of the birds and the road. Otherwise keep up the great work. Thank you very much for the most flexible, adorable, and beautiful wallpaper I have ever seen and paid for. I never wanted to pay for any other wallpapers, but I really didn't mind paying for this one and wouldn't mind even if it cost a bit more. 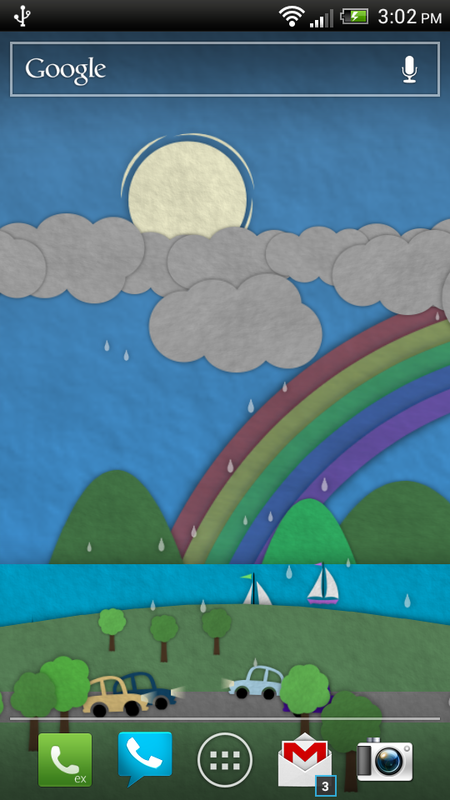 Like other comments, it would be ecstatic if the app's weather could link with the real world's and if the rainbow would disappear at night and appear eventually after the rain. But I'm already happy with what you have done. Thank you again, and keep up the good work! Rainbows will be going away at night in the next update. Any idea when the lag issue with the Galaxy Nexus phone will be resolved? I purchased, but am unable to use it right now. My first live wallpaper I paid for! Excited to see the live local weather being synced to the app!!! I just buy it because of the weather live and do not know how to enable it. Can you help me? I had this app for a while. I think it is the best live wallpaper. But the other day I just noticed that there are two imporperly colored background at the bottom of the screen in autumn theme at night time. I hope you can fix it. Question: On my S4, I can't touch the "Live Weather Option" billboard, but can on my old S3. I uninstalled and installed it and clear cache, but still get no respond when I touch the billboard.